Dear avid followers and those who just happened to visit this page by chance. I visited Tbilisi, the Georgian capital, a couple of weeks ago. Strange to take a break from the daily routine of teaching here in Georgia which challenges and is rewarding too. But I have a series of photos needing explanations here for you! 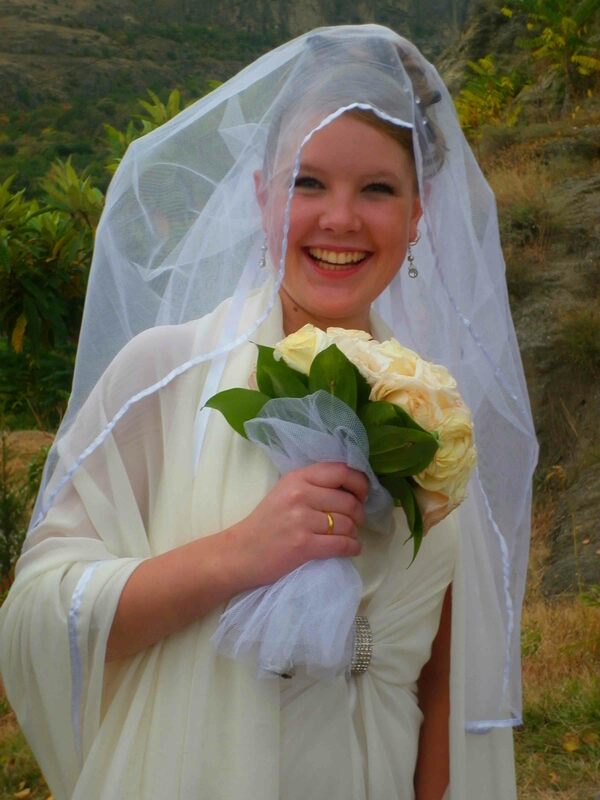 A bride in Tbilisi, Sioni Church, looking very happy on her big day. Tbilisi is really quite an attractive city. The population of Georgia is around 4.7 million people, so the capital was never going to be a huge metropolis or even Almaty-sized, but with around a million people (so I am told) it is definitely the capital, where much is possible that isn’t in other places around the country. Metro station – the escalators. I must confess that staying in a hotel with a proper warm shower with actually water pressure was one of the highlights, as was the wifi. 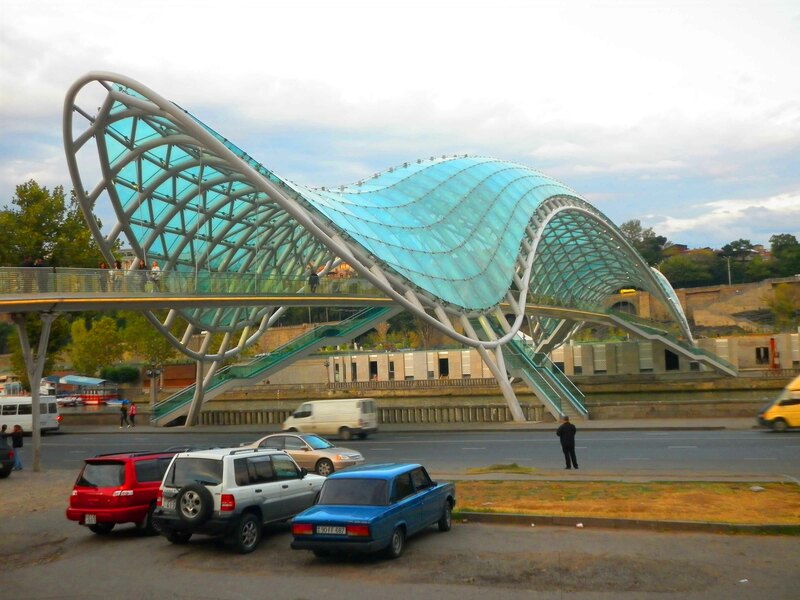 Tbilisi is not a flat place at all. The city follows the river Mtkvari as it winds its way through the Georgian hills. It stretches up to the top of the hills where castles, churches, a TV tower and theme park watch over the city’s life. 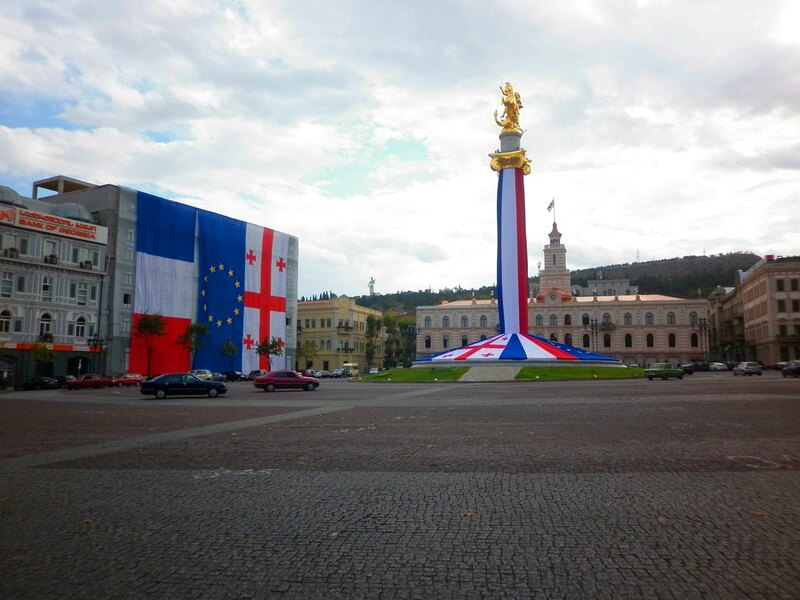 Freedom Square is one of the main centres of town, where celebrations the week before had been going on with the French President Nicholas Sarkozy making a special visit. Georgia sees itself as part of Europe, which according the map.. isn’t quite where it sits. It seems to have desires to join the EU at some point. The castles on the hills are typical of Georgia. 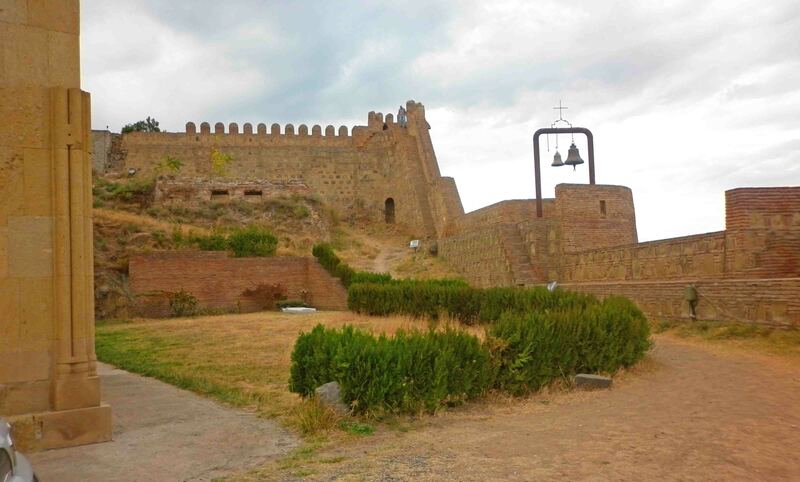 I visited the Narikala Fortress, mostly in ruins but when I was there the church inside was hosting a bit of wedding. Or they were just there for photographs, I wasn’t quite sure. The stylish glass bridge, which lights up at night, is called the Bridge of Peace. It’s certainly one for the camera. On the other side of the bridge is a park and there was much activity going on. I also visited an amazing synagogue and a couple of churches in the old town. The next day, after getting some important business out of the way, I visited the amazing Sameba cathedral. A modern construction conforming to older orthodox designs. A very peaceful place to spend a bit of time – I was there for an hour or so, mostly due to the pelting hail and rain that I encountered. The journey back home to my village was a serious one. Nearly six hours in a marshrutka – a minibus like the ones in the ‘Stans, through the mountains winding around. Passing on blind turns – well of course they do. Since then I’ve had just over a week more of teaching. The classes are sometimes a challenge. But the kids are great! More soon! Hope you enjoyed today’s trip down memory lane! Take care and May the Journey Never End! Previous Foto Friday – That’s Me! In Vienna! That’s an awesome trip! What places for dining out would you recommend? Agness Tbilisi has tonnes of restaurants and most serve Georgian staples so you can take your pick really. lots of bread, cheese and wine! you wont go hungry! its not expensive to eat out so you can have a great night out at a pretty reasonable price! 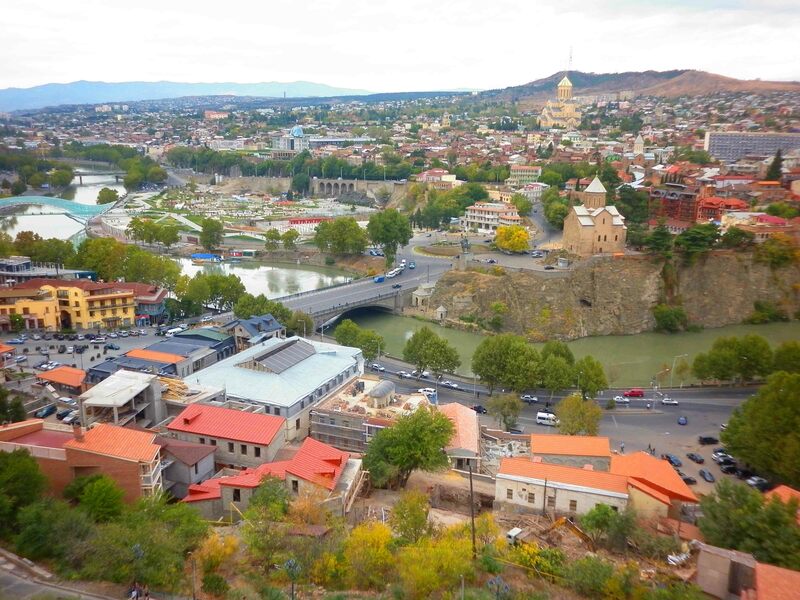 Tbilisi a place I’ve heard good things about and I’d like to visit the Caucasus area one day…just one of those areas that people know very little about. 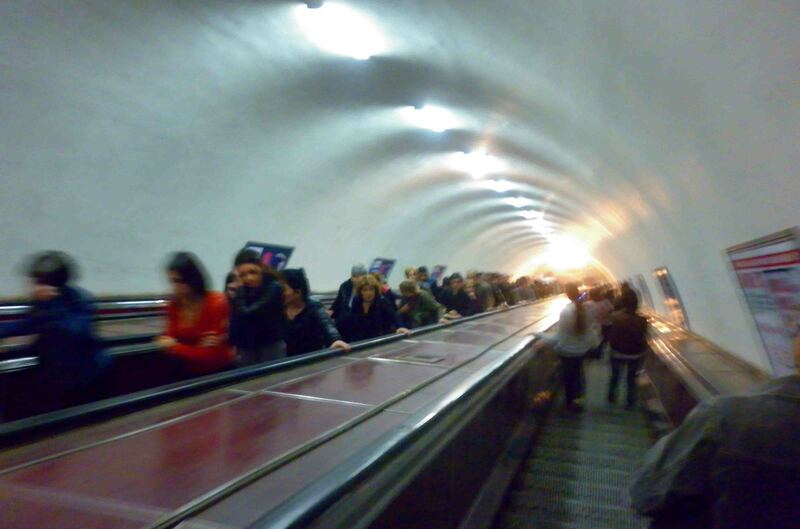 The metro escalators looks like metro escalators in every East European country – deep and steep! yes very eastern european! I am still disappointed I didnt get to Armenia and Azerbaijan. But they are still there! Tbilisi is a really nice place. well worth a visit. 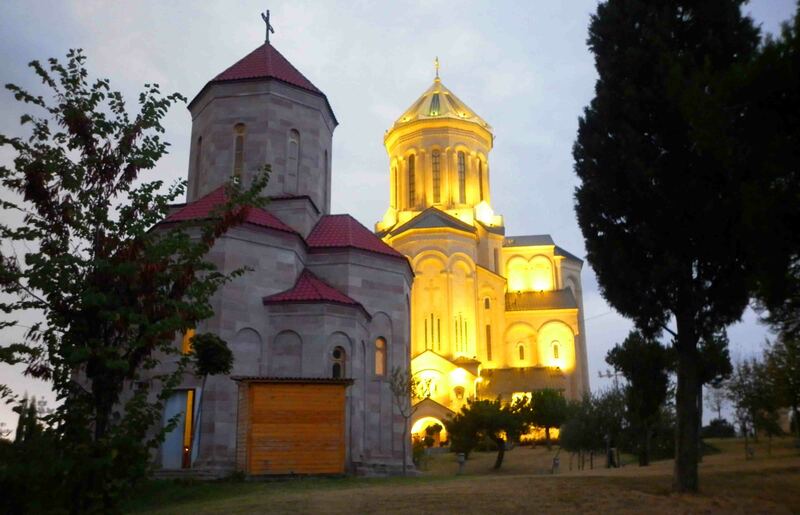 Tblisi does look gorgeous! Underrated, I would say, judging by how little we hear about it. Those escalators on the metro look like the long tunnel escalators at Martin Place station in Sydney. And that bridge is rather impressive too!